Win tickets to Typhoon Texas! It’s summer! Time for sunshine, cold drinks, and family time. 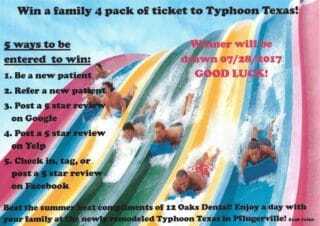 We want to help you stay cool with a family 4 pack of tickets to the newly renovated Typhoon Texas in Pflugerville! It is super easy to be entered to win!